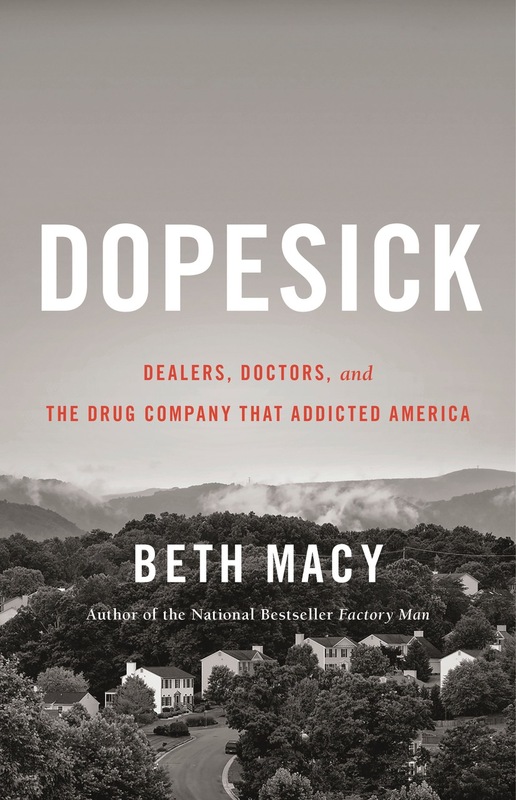 Speaking gig update: The official Dopesick book tour is beginning to wind down, but I am still giving lectures and book festival talks well into 2019. (The list changes on a daily basis — and isn’t always completely up-to-date — so please check back for further details.) The paperback will publish Aug. 6, 2019. The following events are confirmed so far. For more information or to request an interview or an event, please contact Lena Little at Lena.Little@hbgusa.com. To request a lecture, please contact Tom Neilssen at Tom@Brightsightgroup.com. One of my favorite readings, cramming the super-cute Chop Suey Books in Richmond’s Carytown, home of Won-Ton, the store cat. November 2014. 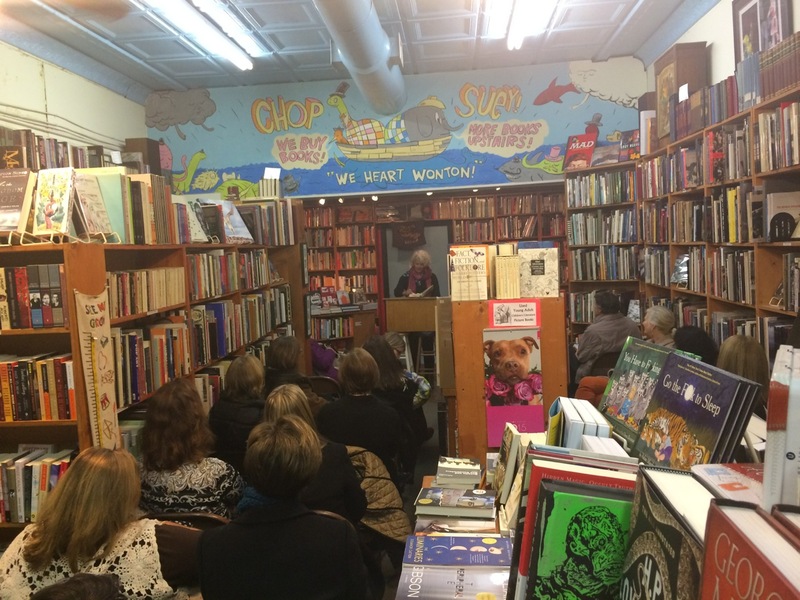 • Appalachian State College, a craft talk and public reading, Boone, North Carolina, Feb. 28, 2019. • Quinnipiac University, lectures on both campuses, Hamden, Connecticut, March 4, 2019. • University of Kentucky’s Fulbright Visiting Scholar, Lexington, Kentucky March 21. • Rural Child Health Summit, Louisville, Kentucky, March 22. • House of Bread fundraiser, in conversation with co-founder Jen Brothers, River and Rail restaurant, Roanoke, Virginia, March 24. • Wood County District Public Library, Bowling Green, Ohio, April 1. • Ohio University, Appalachian Funders Network, Athens, Ohio, April 3, 2019. • American Society of Addiction Medicine, Media Award, Orlando, Florida, April 5. • San Antonio Book Festival, on Lukas Prize winners panel, San Antonio, Texas, April 6. • University of California-Santa Barbara, public lecture and Grand Rounds, Santa Barbara, California, April 7-8. • Los Angeles Times Book Festival, April 12-14. • Lecture, Surry Community College, Dobson, North Carolina, April 24. • Virginia Military Institute, conference on leadership and ethics, Lexington, Virginia, June 6. • Chattaqua Institution, part of “Uncommon Ground: Communities Working Toward Solutions,” with a lecture on Wednesday, July 3, 2019, in the Hall of Philosophy. • Slover Library, Norfolk, Virginia, Sept. 19. • Ashe County Literary Festival, West Jefferson, North Carolina, Sept. 20. • Southern Foodways Alliance, Oxford, Mississippi, Oct. 24-26, 2019. • Town Hall South, Pittsburgh, Pa., Nov. 5. From an 1884 letter from a Richmond doctor to the Daily Dispatch, imploring citizens to understand that opioid addiction spares nobody. The post Civil War epidemic led forty years later to a medical community and criminal justice crackdown on doctor-led (or iatrogenic) addiction. For most of the last century, painkillers were reserved as end-of-life/cancer treatment or for post surgical care — until pharmacy-funded “pain as the fifth vital sign,” and OxyContin came along. Archives courtesy of the Library of Virginia. Tess Henry, an honor roll student who loved poetry, playing sports, the essays of David Sedaris and rescue dogs, asked me to chronicle her story of becoming addicted to prescription opioid pills and, later, heroin in 2015. I dedicate this book to her, “our poet,” and to so many others whose efforts to access addiction treatment repeatedly were thwarted by indifference and rigid treatment ideologies. “I want to better my life so badly and become the person I was before drugs. I am going to die if I keep living the way I am,” she wrote in her journal in late 2016. She wanted most of all to regain custody of her young son. To inquire about a lecture for 2018, please e-mail Tom Neilssen at tom@brightsightgroup.com. Thank you.